It’s been a while since we’ve posted. Gosh, we’ve been busy! So much going on at FRI this summer. Just wanted to pop in and share our excitement about an upcoming event this Fall. Fashion Research Institute was selected by the Product Development and Management Association to showcase our work with Virtual Runway(TM) and Black Dress Design Studio. The PDMA is hosting the 34th Annual Global Conference on Product Innovation October 16-20th in Orlando, FL. One of the keynote speakers is Janet A. Carr, Senior Vice President, Strategy and Customer Engagement – Coach, Inc. I can’t wait to see what she has to say about innovation and fashion ! I’m personally excited that I’ll also get to see the infamous Dan Pink speak. Okay, not as excited as the fact that we were chosen to showcase, but certainly a close 2nd. For more information about what we will be presenting, visit http://conference.pdma.org/showcase_participants.cfm. And wish us luck on going after BEST OF SHOW ! Designed for the currently matriculated student or for the returning, nontraditional student, FTT495 is a 3-credit college course taught through Buffalo State University. Taught completely on-line, students from around the world may register for this summer course that will be offered in Session A : taught June 1-June 26, 2010; Session B: taught June 28 -July 24, 2010; or Session C: Taught July 26-August 14, 2010. Teaching is focused on using Photoshop to develop fashion for virtual worlds. Previous experience: Exposure to Photoshop. Users must know the overall PS menu and be able to access the Tool menu. Duration: 2.5 hour class times TBA by instructor [2-4:30pm EST M-F]. Session A registration begins April 7 through June 2, class starts June 1. Session B registration begins April 7 through June 2, class starts June 28. Session C registration begins April 7 through June 2, class starts July 26. This course follows a collection-oriented design sequence, in which the class is expected to develop a mood board, color story, and concept boards for 6 outfits which will be developed for inclusion in a virtual fashion show, which will be designed as a group project. The course includes class work and home work and follows an aggressive schedule successfully piloted with real life fashion design students. Students have full creation privileges in the online classroom as well as an assigned space for use for the duration of the class. Students receive virtual tool kit resources as part of their tuition. All texture work is expected to be accomplished off line as part of the homework assignments. Extensive resources and documentation are provided in the classroom, and students have full access to the classroom during their course. All work is graded and receives feedback from the instructor. Students will complete 3 outfits, develop an initial label concept, and complete an initial showroom/store design. 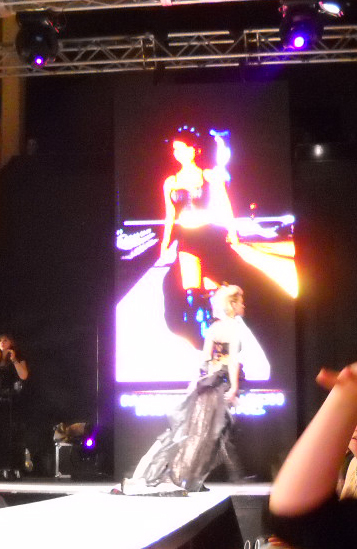 They will show their work on a runway at the final class, using their avatars as models. Students must provide their own computer, internet connection, scanner, and image editing program(s) as well as have Second Life and Skype accounts. Shenlei Winkler (Shenlei Flasheart in SL) is a 30 year veteran of the fashion industry. Her work spans both couture and mass market design and development for the real life apparel industry. A successful designer, her lifetime sales of her real life apparel designs have now reached more than $70 million USD, with more than 25 million-dollar styles in her portfolio. Her couture work has appeared extensively on stage and movie screen. 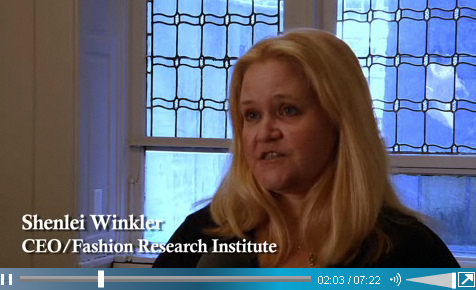 Winkler has also enjoyed success in Second Life, where she has designed fashion since 2005, with three popular brands including Prim & Proper (one of the top 400 Second Life earners in 2006), Flash & Trash, and Debutante. Her educational background includes three design degrees, including two from the prestigious Fashion Intitute of Technology. Currently, she is the CEO and founder of the Fashion Research Institute which is focused on researching and developing virtualization technologies with particular emphasis for the apparel industry. Her research areas include content licensing for virtual goods, virtualization of enterprise in immersive workspaces, OpenSim enterprise application development, and user immersion in virtual worlds.